Buckhead department store adding mini shops to its store. Bloomingdale's has already added mini locations of both Michael Kors and Ted Baker to its men's shop, and this week it added two more! 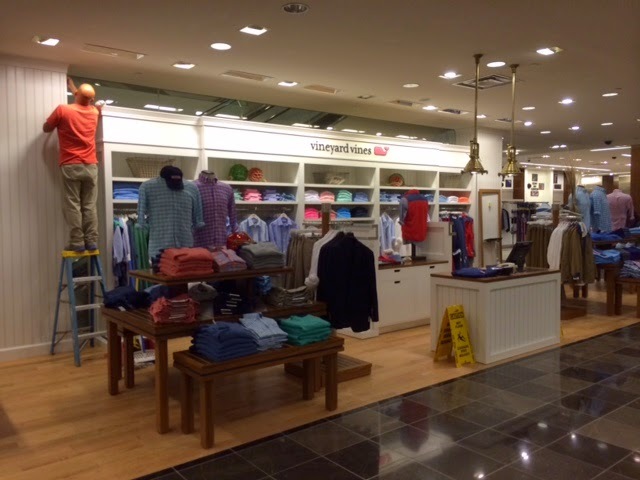 AllSaints and Vineyard Vines opened "shop in shop" locations on the men's level of the Buckhead Bloomingdale's. AllSaints opened a women's "concession" shop on the main floor of Bloomingdale's a few years ago. 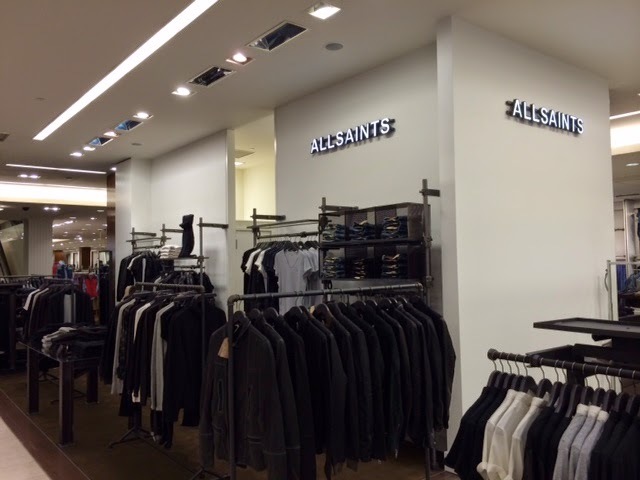 The AllSaints "leased" area in Bloomingdale's is one of three such "test stores" in the U.S. Other test stores are within Bloomingdale's at 59th Street & Lexington Avenue in New York and Bloomingdale's in Aventura, Florida. Vineyard Vines already has a store in Lenox Square on the main level near Starbucks. Michael Kors, which has a store in the mall that does not offer the men's line, made more sense to open in Bloomingdales' mens shop. Ted Baker is also without a store in the mall. Interestingly, next up for a "shop in shop" in Bloomingdale's at Lenox is Brooks Brothers. Brooks Brothers already has a large store in the mall's upper level, but will reportedly add a scaled down shop to the Bloomingdale's men's floor in the coming weeks. Do you like the idea of "shop in shop" stores in Bloomingdale's or in other department stores for that matter? What store would you like to see brought to Bloomingdale's next? If AllSaints were to eventually open their own store in Atlanta, where would you like to see it? I don't see a problem with this at all. Most upscale department stored do this. Now, if they could add a Men's Louis Vuitton section like they have at 59th and Lexington, that'd be nice. I hope they lease some space to Family Dollar. Or Dollar Gentral.